A joyful first music experience! 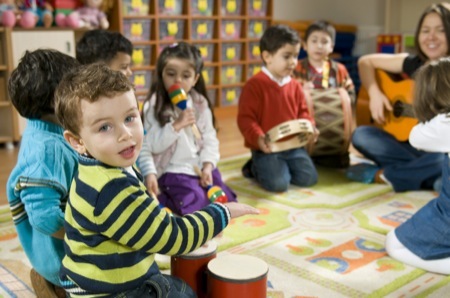 Tots and parents share in the exciting world of music through singing activities, movement to music, drumming, listening to music of many styles, and exploring different instruments. This program establishes a firm foundation for any student to pursue a lifetime of musical enjoyment. We recommend this class to any parent who is considering later enrolling their child in our music classes or private lessons. Parents join their children in class to begin developing a family habit of making music together. 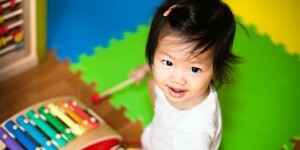 The early years of life are critical for a child’s musical development. Without proper musical activity during this window the brain will have difficulty later in life with musical concepts. This class is an excellent way to ensure that a child will later have success learning an instrument and enjoy music deeply for a lifetime. Spring 2016 Session (beginning February 2nd) will also be offered. Check out our calendar for details. Just one block south of the downtown library!